Elegant Yokai Apartment Life Vol. 10 Review – AiPT! In the realm of supernatural manga, Elegant Yokai Apartment Life stands out. The series, written by Hinowa Kouzuki and illustrated by Waka Miyama, stars Yushi Inaba, a high school student and mage in the making. He lives at an apartment complex populated by humans and yokai alike, and he learns major life lessons from both the living and the not-so-living. It’s by and large a feel-good series with splashes of fantasy, delivering both fun magic and character-driven drama. 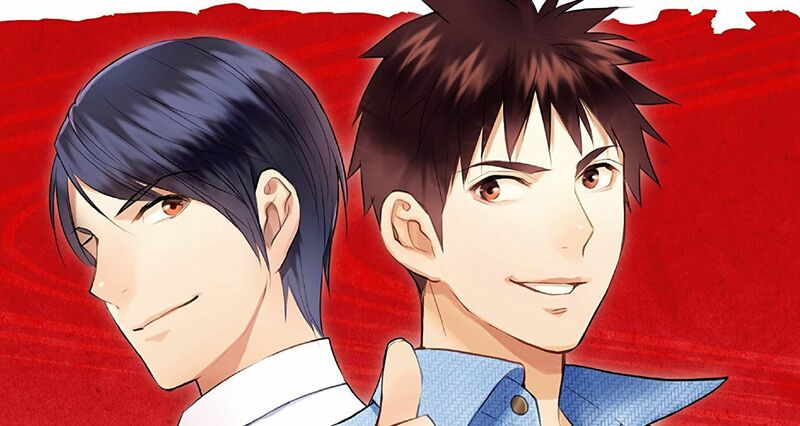 The series’ tenth volume, published by Kodansha Comics, came out recently and continues the focus on Yushi’s new teachers Aoki and Chiaki, as well as his fellow student Yamamoto. Does this installment develop the characters effectively? Is it good? Art-wise, Miyama continues to deliver the goods. Her thick inking looks great, and it contrasts well against the lighter shading used in the rendering of background patterns and various magical effects. There’s also a lot of effective visual humor in this volume, mostly in the form of Yushi and other characters making over-the-top facial expressions. The faces and body language throughout are all very emotive and contribute to the series’ excellent characterization. Miyama also delivers aesthetically pleasing page compositions, including some very nice two-page spreads. These are especially nice when they depict nature imagery such as fields of fresh snow. Overall, this volume is soothing to look at. This volume also succeeds from a character development standpoint. Aoki, Chiaki, and Yamamoto have all been effectively integrated into the plot now, and they each fulfill unique roles in Yushi’s journey toward self-improvement. Chiaki and Aoki are two very different fleshed out depictions of complex teachers trying to do right by their students. Yamamoto meanwhile is horribly unlikable snob, but her motivations and backstory make it easy to understand why she became that way. Yushi also makes some progress with regards to his magical abilities in this volume, which is fun to see. On the downside, the book’s last few chapters aren’t all that impressive. They forsake plot progression in favor of just showing the yokai apartment’s residents bonding together. This could be good in theory, but the series has already delivered similar scenes several times before and they were usually more affecting than they are here. Miyama and Kouzuki are clearly going for a relaxed, feel-good vibe, but the content just feels bland and like we’ve (literally) seen it before. One of the supporting characters, Kamiya, is also disappointingly bland compared to the rest of the cast. The visual representation of Yushi’s magic is also a bit inconsistent. Sometimes it looks really cool but then other times it more or less just consists of generic black blobs. Overall, Elegant Yokai Apartment Life Vol. 10 is an enjoyable read that continues the series’ trend of delivering lovely art and great character work. Yushi’s expanded social circle at school continues to broaden his horizons, and even the most unlikable characters have depth to them. The patterns, shading, and nature imagery are also lovely as always. Con-wise, the volume’s last few chapters disappoint by trying and failing to deliver feel-good moments that have already been more effectively executed in previous installments. With that said, the book’s first two-thirds or so are more than enjoyable enough to make up for the weak ending. Longtime fans of the series will likely enjoy what they find here. Overall, this is an enjoyable read that continues the series' trend of delivering lovely art and great character work.